Welcome to our section on HONRYU-fishing. We put this section together to give anglers a place to learn basic information on HONRYU-fishing and how to fish with HONRYU-ZAO. The information provided in this section will benefit all fishermen who are looking to start Honryu-fishing. This section starts off by educating you on basic information about HONRYU-fishing, which is followed by some of the best tips for HONRYU-fishing available to us. 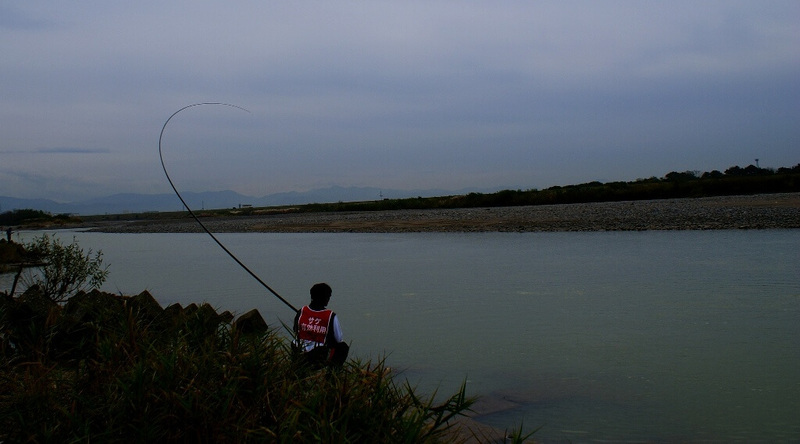 HONRYU-fishing is the Japanese method of mainly trout and salmon fishing, which uses no reel. 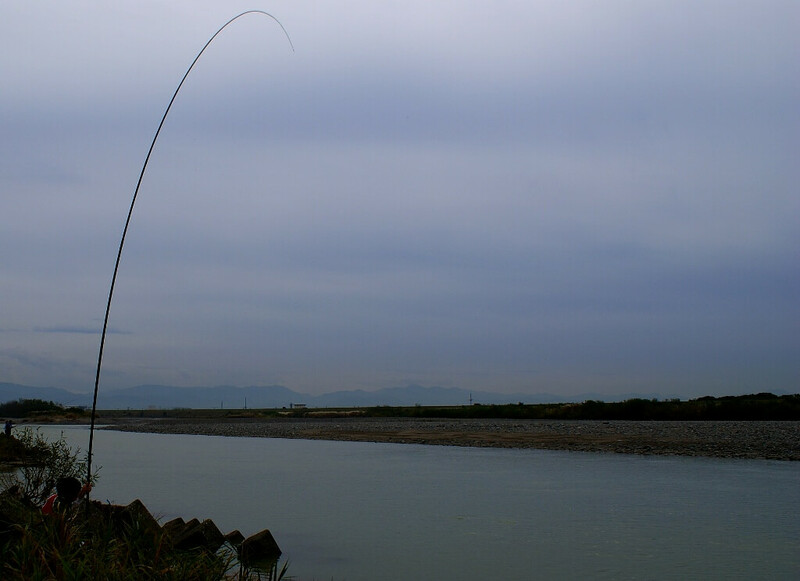 HONRYU means main stream, and HONRYU-fishing shines literally in main streams, where the very long pole,called"HONRYU-ZAO"provide the best possible bait presentation. 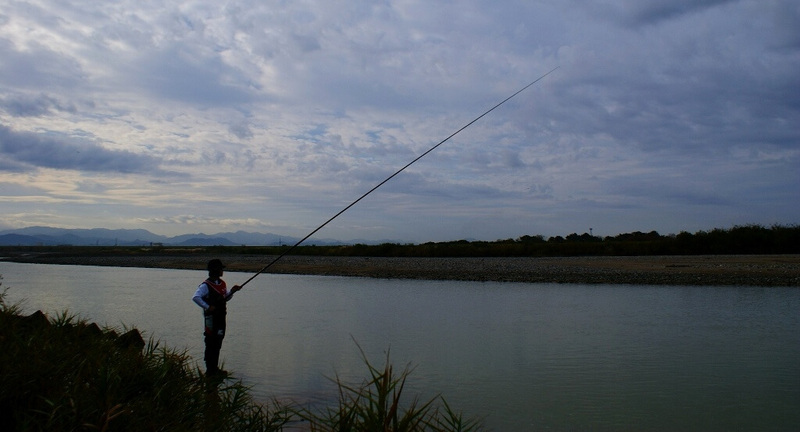 This fishing style stems from Japanese traditional mountain stream fishing using bamboo pole,but the poles today's HONRYU-anglers use are definitely different from such heavy and short pole. They use HONRYU-ZAO, which is the fruit of the latest carbon fiber technology, and most HONRYU-ZAO are over 8m length, while its weight is often around 300g.HONRYU-ZAO is also effective in a variety of waters, such as surf for black porgy, or ponds for carp. HONRYU-ZAO is the ultimate rod for anyone looking to do a real "one-to-one" match with monster fish,where no reel and drag will help you. 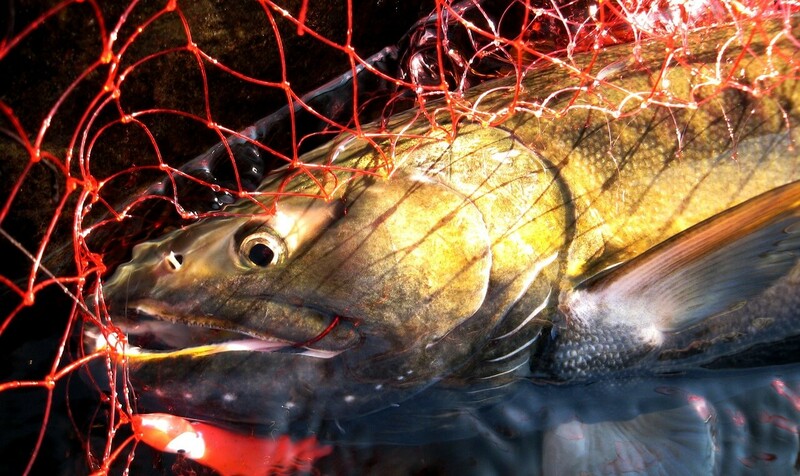 Using no reel gives HONRYU-fishing a distinction.You might think,with no reel,small trout could be caught at best.But the strongest HONRYU-ZAO will explode such misunderstanding.Many salmon,even over 16lb are caught with such HONRYU-ZAO, that is with no reel, every autumn in Japan. You might think HONRYU-ZAO is similar to what is called "whip" in Europe,which is much cheaper and regarded as one for a beginner.It's true that both of HONRYU-ZAO and "whip" are used without reel and elastic unlike "pole" in match fishing, as a result their appearance are somewhat similar,but there are some difference. 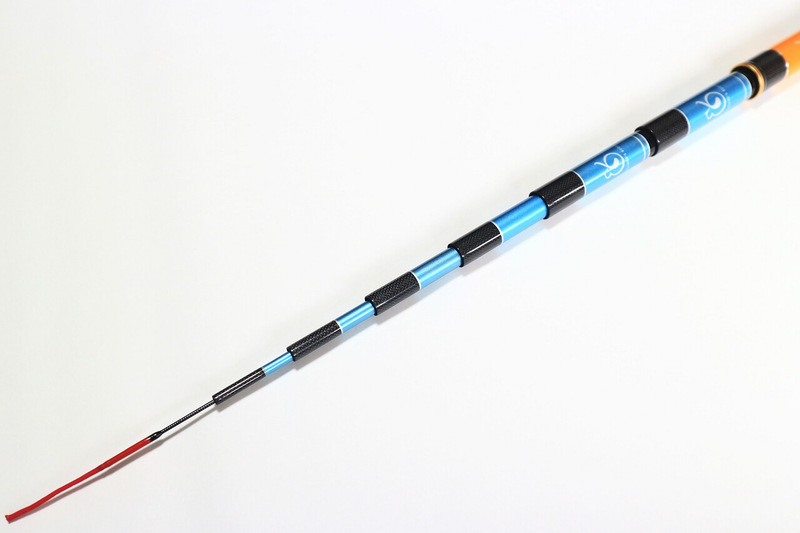 First, HONRYU-ZAO is much lighter and stronger because it's made of much higher modulus carbon,say 30t, 35t or 40t.This makes HONRYU-ZAO very slim but powerful.On the other hand,low modulus carbon or composite is used for "whip". Second,HONRYU-ZAO IS LONG! At least,it has a total length of 7m and even 10m model is available.Surprisingly,even the weight of 10m HONRYU-ZAO may be under 300g.As expected such HONRYU-ZAO cannot be used for salmon,but no problem for trouts around 30cm. Last,there is a difference in the way they are used. "Whip" may be used for simple float fishing,but "HONRYU-ZAO" will not. 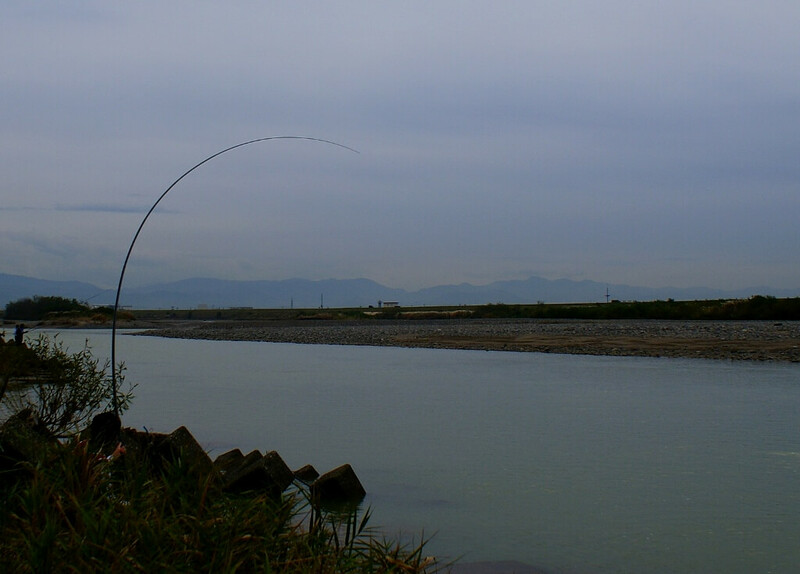 "Myaku-zuri" is commonly used,we will explain this simple but sophisticated fishing style later. How can you know how much power your HONRYU-ZAO has? Not difficult,simply see the description and you will find recommended line number.In Japan,the strength of line is sometimes expressed in numerical form, such as "1" or "2".The "1" is equal to 4lb.If "up to 2" is showed on the description of your HONRYU-ZAO, you can use up to 8lb(= 4 x 2) line with the HONRYU-ZAO.If you use stronger line, your rod may be broken, because it has no reel and no drag system.The only drag system is yourself, that is, if the rod is too bent and almost broken,you must move forward a little.Please note that the recommended line is definitely a rough indication, so the rod may be broken with weaker line than it, depending on the way the rod is used and the situation.It may be recommended that a beginner should start from weak line. There are many kinds of HONRYU-ZAO. Some for small trout can be used with only up to 1lb, others for king salmon up to 48lb!We show how they are classed by the strength here. 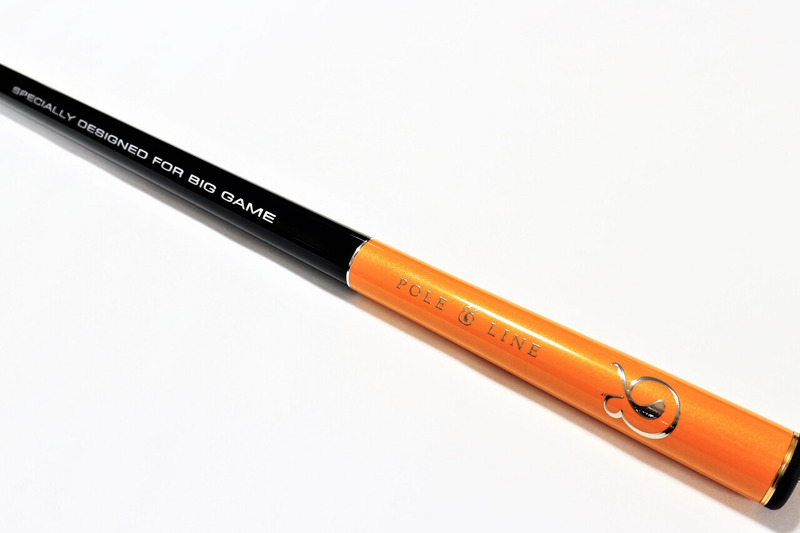 For small trout under 30cm, with very weak line such as 1lb. 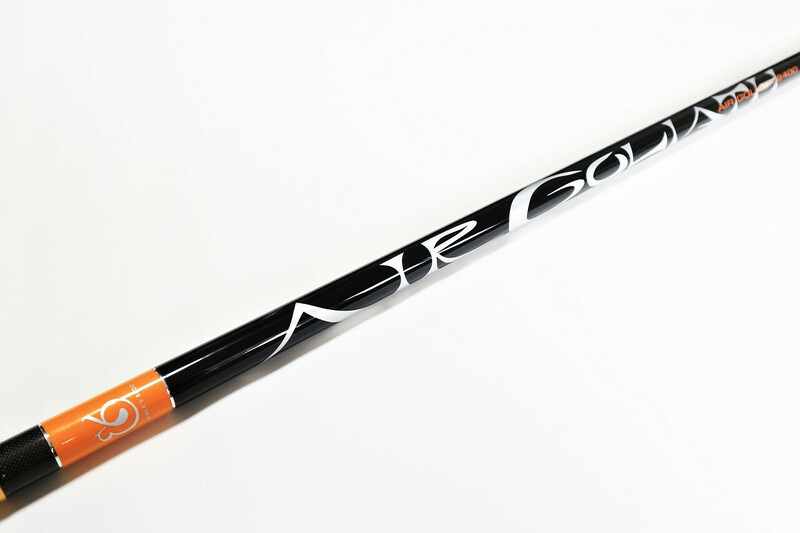 Zero rods are usually not called "HONRYU-ZAO", but some long model are included into it. For small trout around 30cm. Lighter than the traditional HONRYU-ZAO. HONRYU-ZAO appeared in 80s to 90s, so "traditional" may not be correct strictly speaking. This kind of HONRYU-ZAO is the most typical, and has been seen since the dawn of HONRYU-ZAO. Good for middle sized trout around 40cm. Good for middle to large sized trout around 60cm,say rainbow trout. 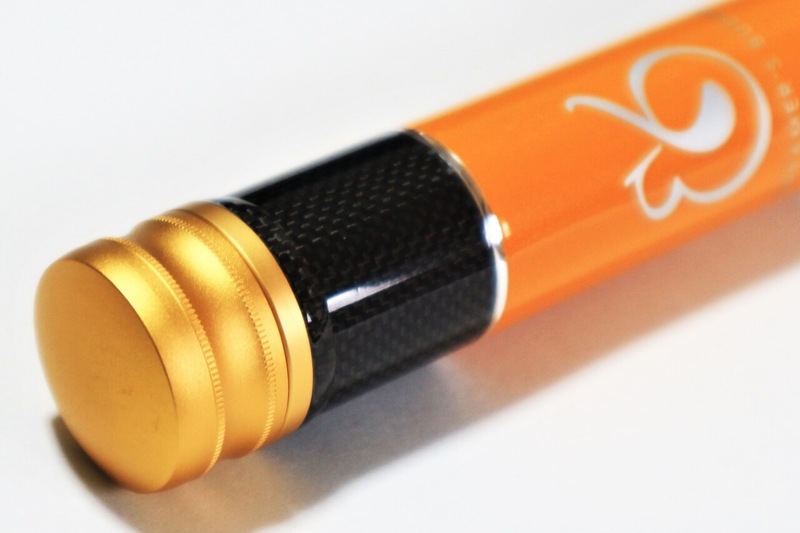 Specially designed for salmon fishing. The expected size of the salmon is around 80cm. 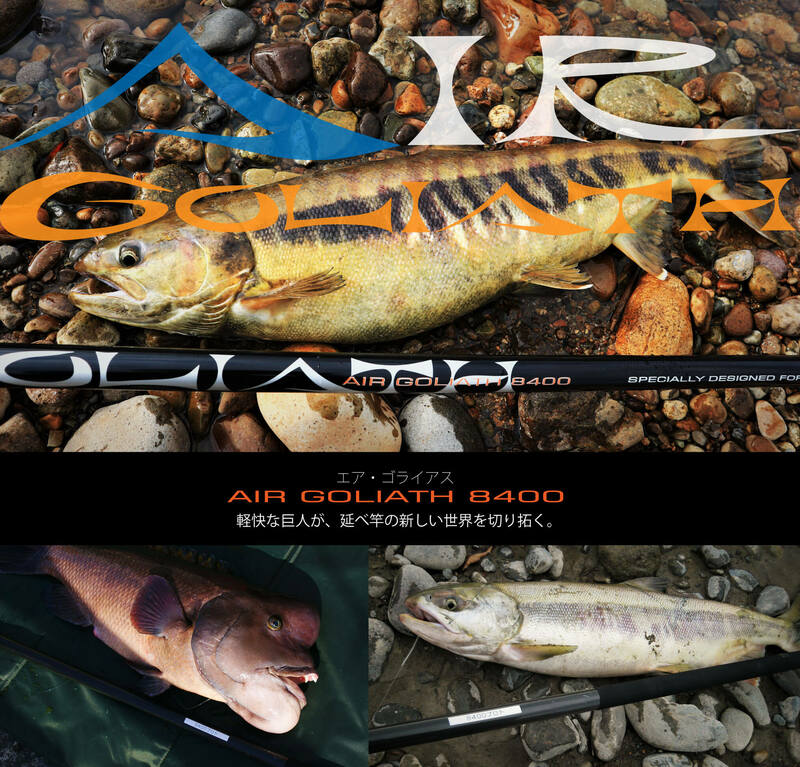 Specially designed for big salmon fishing.The expected size of the salmon is around 90cm to 1m, 10kg. 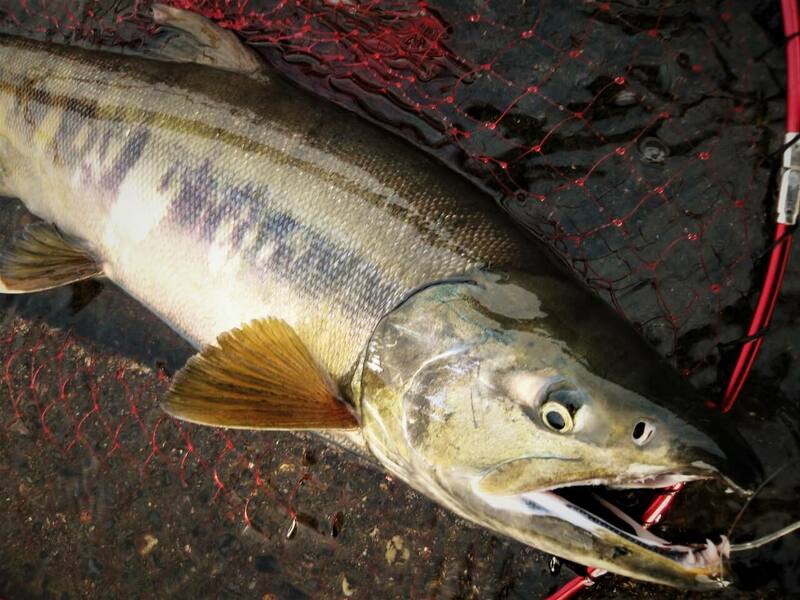 Of course monster steelhead can be also caught. AIR GOLIATH is this class. Very strong and heavy HONRYU-ZAO for such monster as huge king salmon. The method that is used in HONRYU-fishing is Myaku-zuri.This method is very simple but difficult.It needs only tiny indicators and split shots.No float is used so that you can drift the very light rig slowly in fast stream.With float,your rig will be accelerated by the fast surface current.Because the rig of Myaku-zuri is very simple and lightweight,fish tend to be less wary.Also you can fish almost any fast and strong water,due to the absence of float.Once split shots sink,the rig can drift slowly with the slow bottom current.The fast surface current can push only line,so the rig is not accelerated so much. 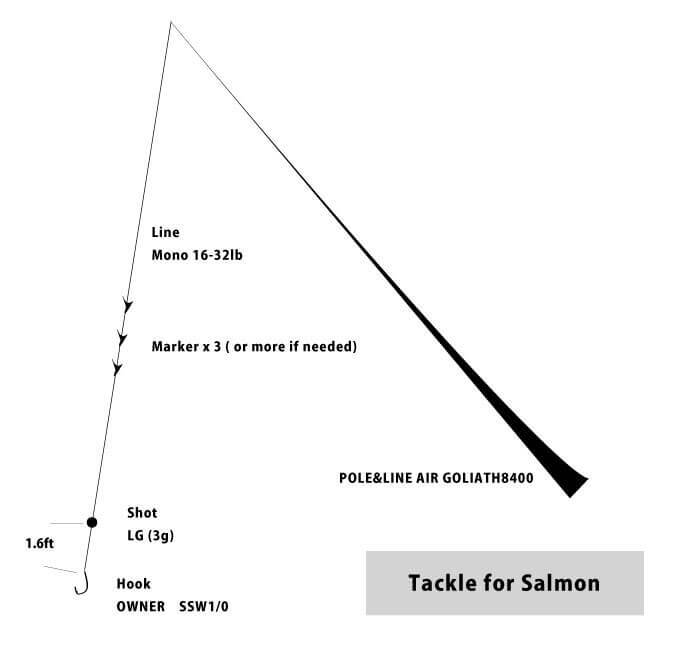 It needs some technique that you drift the rig naturally without snag or floating up.For salmon,stopping the rig sometimes is also effective. In Japan, real baits are used for HONRYU-fishing. For trout, worm and insects are often used as well as salmon egg. For salmon, a slice of fish (especially pacific saury or squid) with "tako bait", small imitation octopus soft lure is the best choice. However, of course fly, yarn or KEBARI can be used. Because this method is without a float, the rig (shot) should be suspended from the rod tip. However, if you use too heavy shots and suspend them too unnaturally, you will not catch a fish. Ideally the rig should ride on the bottom current naturally and slightly suspended from the rod tip. 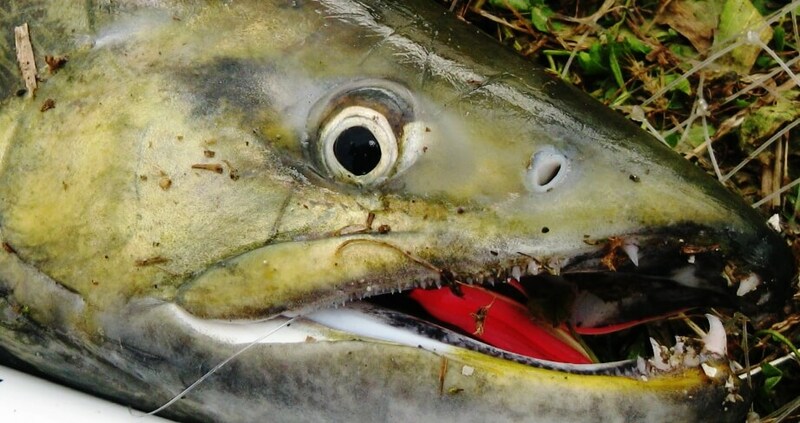 For salmon, using heavy shots is sometimes effective for almost stopping the rig in the current. 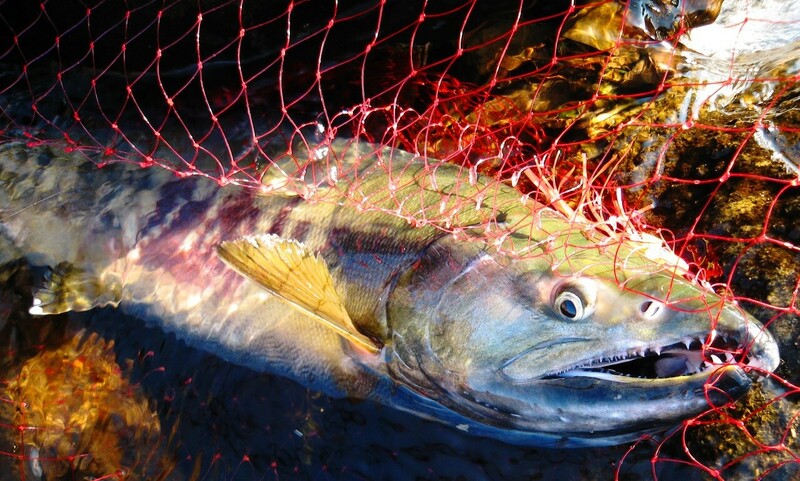 The "dead-slow" drift is effective for especially salmon of up-stream, far from the sea. Fighting with big fish with HONRYU-ZAO is super fun, most of HONRYU anglers love this fishing because of this irreplaceable fun. When you hook up a fish, bend the rod by yourself, not by pulled by the run of the fish. The most important thing is not to let the fish run. Once the fish start running and it is accelerated, it is very hard to stop it, so you should avoid it as well as possible. If unfortunately the fish is already running and you cannot stop it, you should use your legs as "drag", following the fish. What is also important is, you should not make the rod erect, but almost parallel to the surface when fighting. 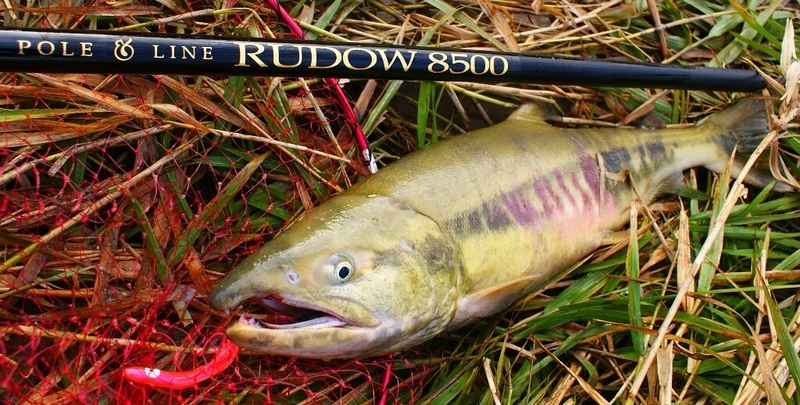 This makes easy to bend the rod and stop the fish running to down stream, especially in shallow water. In deep water, somewhat erect angle may be better because the fish tend to go to the bottom, not to down stream. Of course, at the end of the fighting, make the rod erect and land the fish on the bank directly or using a landing net.